Dating Pro Network is a community of independent dating site owners who engage into site members exchange, while managing their own site payments and services and keeping sensitive information secure. 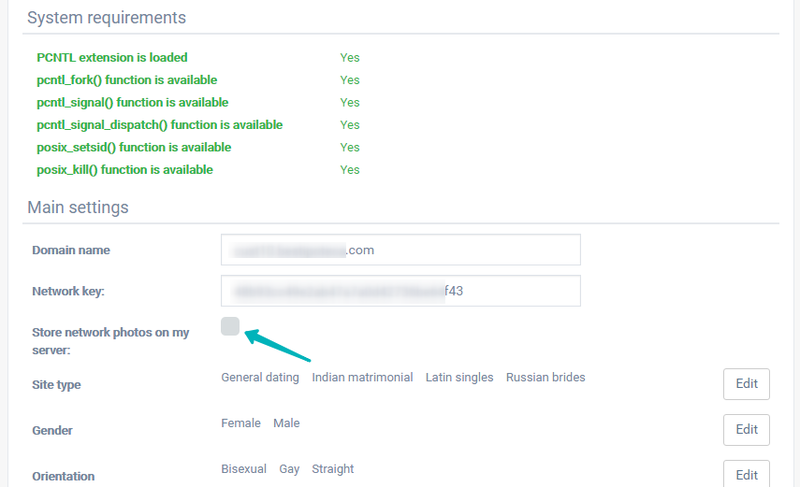 To connect to the Dating Pro Network, access your administration panel and go to System > Network (/admin/network/index/). 1. Make sure that your server meets system requirements. 2. If everything is ok, you will see the ‘Get access info’ button. 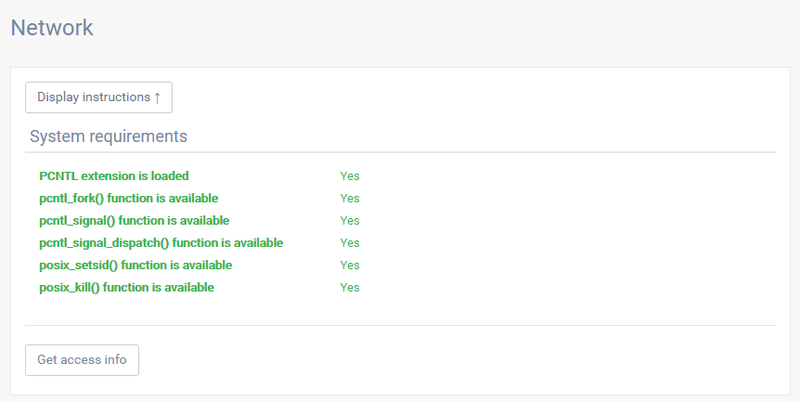 Click it and proceed to select parameters for your website and members that you want to accept from the Network. 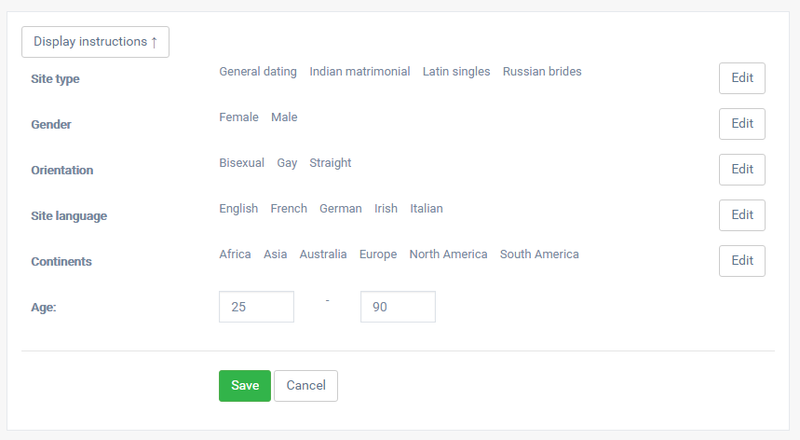 The min and max age depend upon min and max age limits on your dating website. 3. Click Save after you are done and you will see the Network key that will have been assigned to your domain. You can decide to store the users photos on your server. It means that the photos that belong to the Network members will be uploaded to your server and may take up space. If you leave this checkbox empty, the photos will be drawn from the Network servers. Your site users will see no difference. If it’s not, click Start or come to chat with our Customer Service team.